Friday Night Live was a late night programme that pushed comedy on TV to new levels. Most TV comedy at that time was a rather safe affair full of middle aged comics and impersonators. Friday Night Live brought in a new generation of comedians; some from the growing club circuit and some along the path from University. 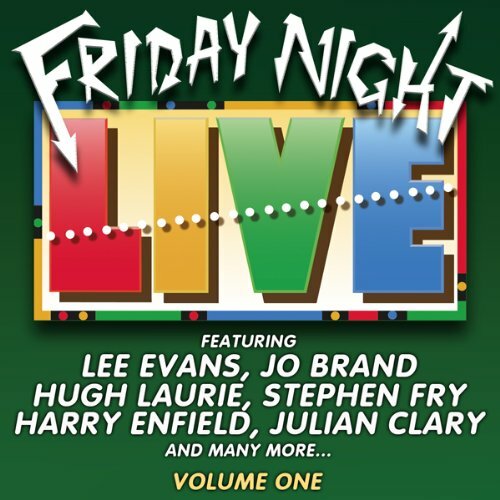 On Volume 1, Stephen Fry and Hugh Laurie can be heard alongside Lee Evans and Jo Brand. This was her TV debut whilst Lee Evans was also just starting his own phenomenal career. Also included is a great comic performance from Julian Clary - his famous ‘Leader of the Pack’ sketch which became a hit single. This volume also includes Ben Elton, the Scottish pair Jack Docherty and Moray Hunter and Josie Lawrence.